Photo By Tommy Stafford : ©2011 www.nelsoncountylife.com : Nasty storms moved through Nelson County around 3PM Friday afternoon. 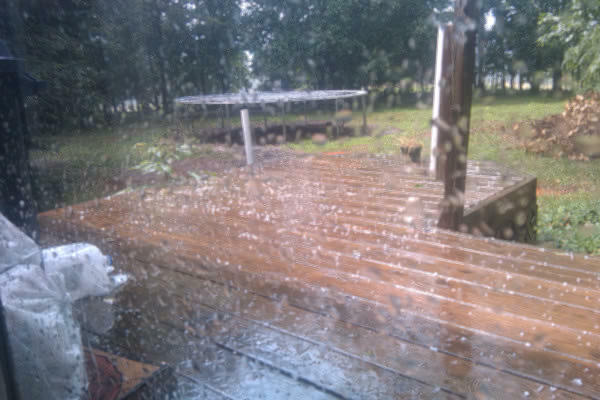 Small hail was reported in many areas. .
Around 3PM Friday afternoon some very intense thunderstorms moved across Nelson. 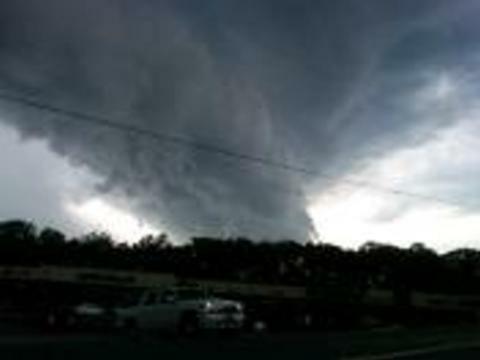 It was just one of several severe thunderstorms that affected people in Central Virginia. Numerous reports of hail came in across Nelson with a more severe report in neighboring Scottsville where hail broke out some windows. Photo Courtesy Of Hill Top Berry Farm: Hail the size of dimes and marbles fell over at Hill Top Berry Farm & Winery just outside of Nellysford. Photo By Ann Strober : Ann captured shots of small hail falling on her deck in Nellysford around 3:15 PM as storms moved acorss the Blue Ridge. 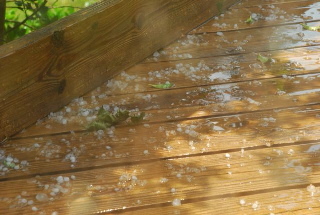 Photo By Jaime Swink : Hail fell on the deck over at Jaime Swink's home in Farber. 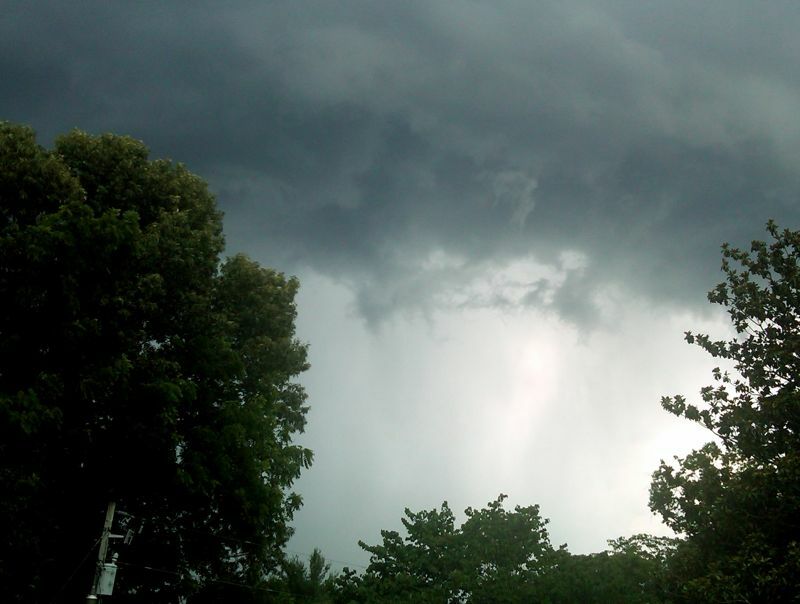 Photo Courtesy of Scottsville VFD : Omnious storm clouds approach Scottsville Friday afternoon where hail damage occured. 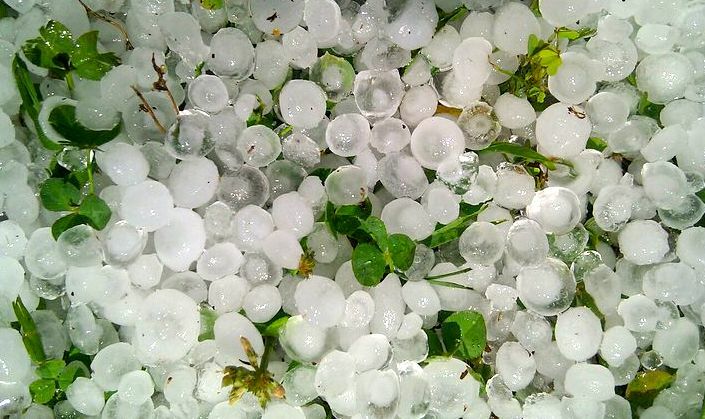 Hail was reported as being very deep in places. Look for scattered thunderstorms to continue right into the weekend with the potential for more severe storms next week.